For me, it was such a major thing. Not quite lipstick but very grown up and the essential handbag and pocket essential. I remember buying the Natural Collection Sugar Plum and Red Currant lipbalms and feeling so grown up – they had colour and everything! These days, my lipbalm collection is as varied as they come. 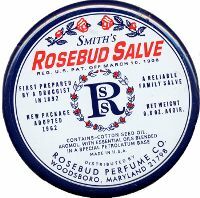 I have to know I have a tube handy at all times, in fact, in front of me right now is a tin of Rosebud Salve, an Espa Botantical Lipbalm and in my pocket, let’s see, Carmex stick and BeneFit Lipscription. My most coveted of lipbalms is the Creme de la Mer but it’s £35 people! In today’s Primarni world, I could buy the entire wardrobe for a West End Show for that! But out of all the crap I tote around with me, is any of it really any good? Let’s see. I’ve mentioned this baby before and whenever I’m in the US, I’ll pick one up but I really wouldn’t pay the UK prices for it – £6 in Urban Outfitters! It doesn’t really delivery any more than good old vaseline but I have friends that swear by it as emergency nappy cream should the need arise. I do like a multitasker. All that aside, it sure is purdy. 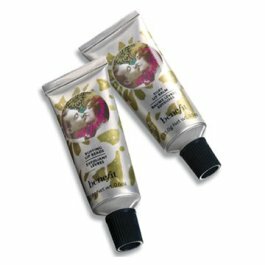 The first extension of the Dr Feelgood brand from BeneFit includes a gorgeous, gorgeous lipbalm and lip scrub in cute little screw top tubes. Sure, they’re beautiful to look at and really effective but they cost a BOMB. 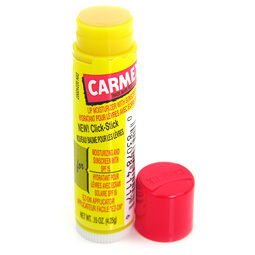 I received mine as a gift and as committed a BeneFit fiend as I am, I can’t see me replacing them once they’re gone – not at the rate I get through lipbalms anyway. They make a lovely gift though, if anyone’s feeling generous??? Don’t be fooled by the pretty packaging, delicious scent and lovely lube feeling on the lips. For £12, this delivers no long term softness and no protection against the elements. Boo, so pretty and yet utterly useless. It’s the Jude Law of lipbalms. It’s not flashy, it’s not in anyway swanky and I think it’s probably the cheapest lipbalm on this page but it is my favourite. 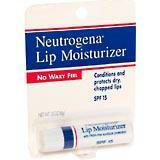 Neutrogena lipbalm has a lovely matte finish, it glides on nicely without any real sort of scent and it lasts. When it’s on, it’s on and your lips know about it. Plus, you can put it on your boyfriend without him worrying for his masculinity. Perfecto. *Just me that spends as much time worrying about my shoes as my mortgage? Oh, ok then.